That rear panel was bent up pretty badly. 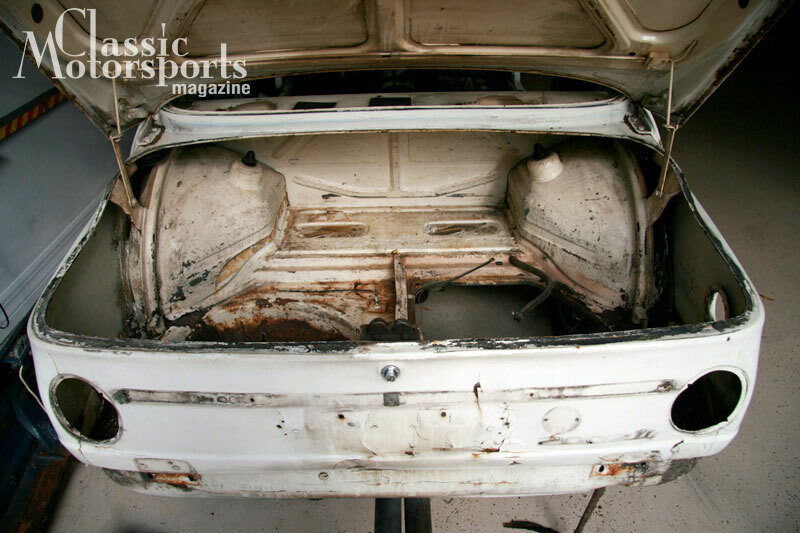 The floor of the trunk was rusty and wrinkly. Here's the fresh sheet metal nearly ready to weld back in. 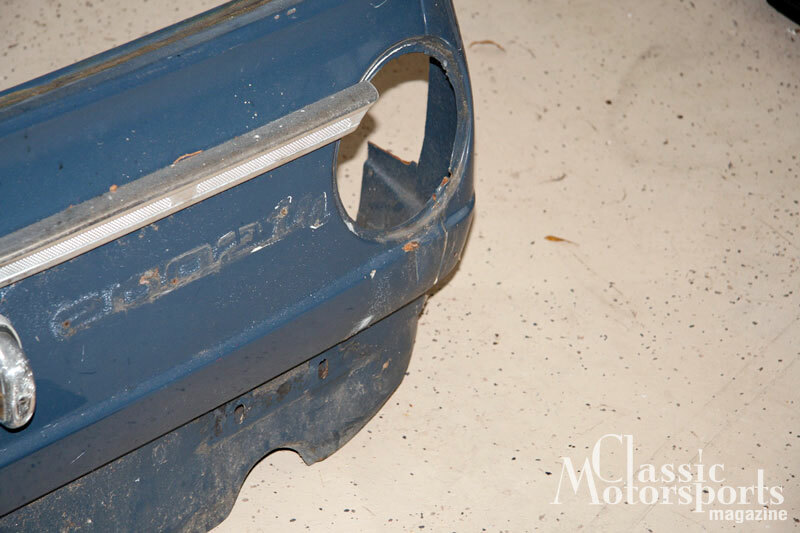 One problem with used panels is that they can come with their own share of issues, including dents and rust! 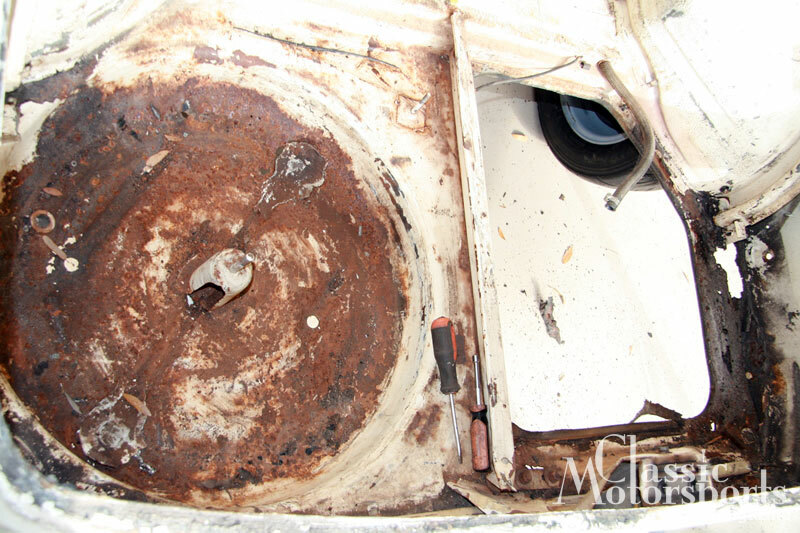 Recently, we set out to tackle the rust and damage on the rear section of our BMW 2002tii. 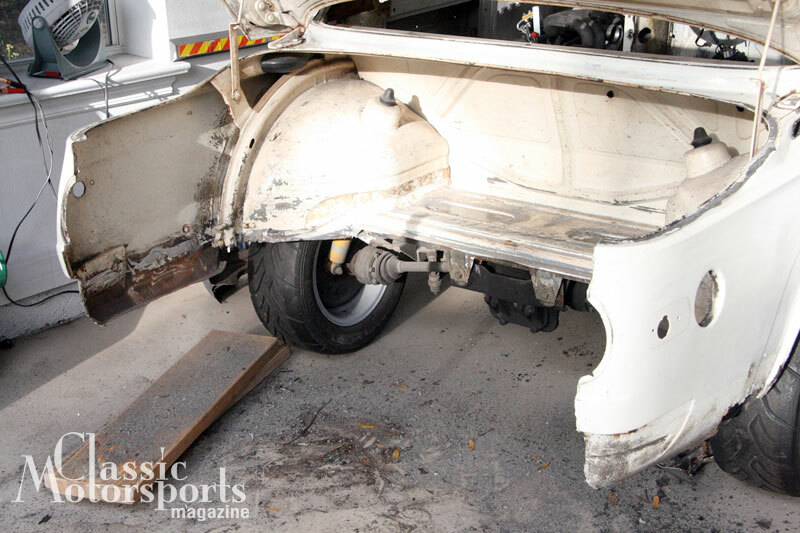 We took one look at the rusty trunk floor—which had plenty of evidence of accident damage—and realized that we should just start over completely. We cut off the entire floor and rear panel using a combination of a Milwaukee Sawzall and an angle grinder. The resulting hole is gigantic. 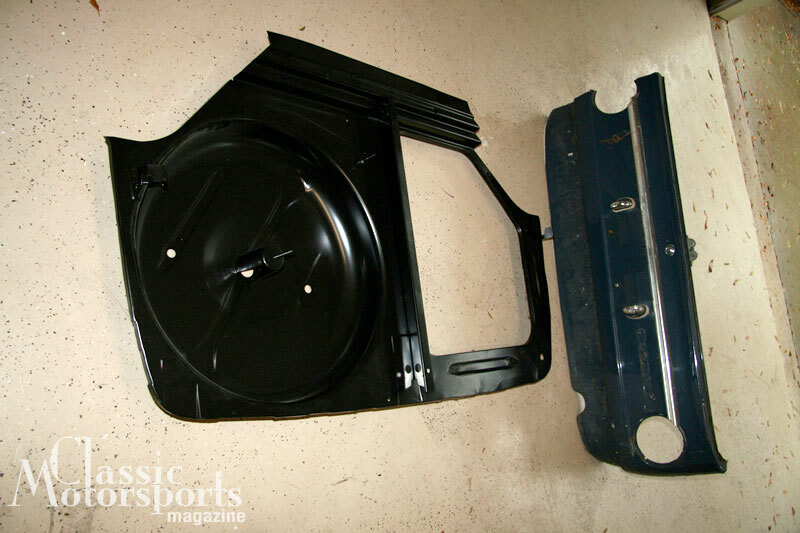 Thankfully, we’ve got plenty of fresh sheet metal to fill it in: We’ve got a brand-new BMW Classic Parts trunk floor from Bavarian Autosport as well as a good used tail panel from Al Taylor’s Sports Cars. The next step will be to clean up the used tail panel and start welding it all back together. 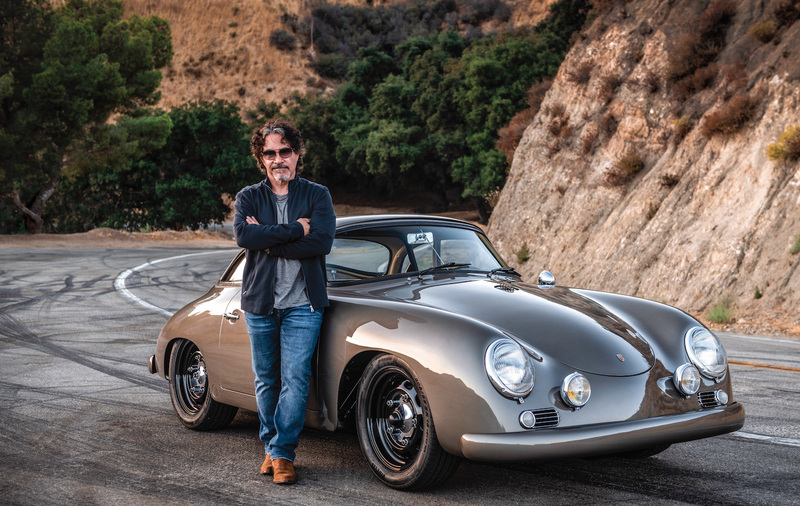 Some of these body parts are actually cheaper at the local BMW dealer as they pay shipping, the parts are certifiable OEM (though not the same quality that was there originally), and you pick up locally, often at a good discount if you are a BMW Club member.